These beauties have just arrived and are already selling out quicker than we can re-stock them! 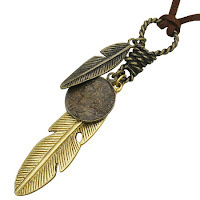 The best seller so far has to be this stunner with a feather pendant only £12.99! Leather is a great material for Jewellery and especially for men as it is robust, long lasting but also feels great when it’s on. These chains look great when worn with a casual look or even with something a bit smarter which makes them a great choice for the modern man about town! 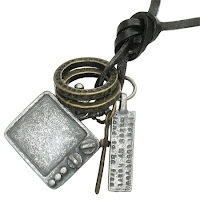 One of our favorite of the range has to be this one with a cool looking T.V pendant!